Windows is an operating system with security features. For example, one can specify which users can access a file. There is a system for Discretionary Access Control (DAC), and one for Mandatory Access Control (MAC). 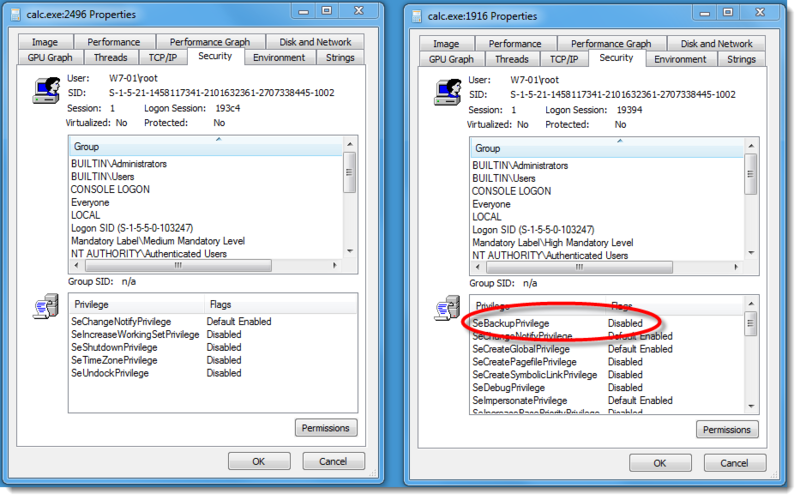 DAC is implemented with Discretionary Access Control Lists (DACL) and MAC is implemented with privileges. But that is not enough to give you read access to a file. On Windows, a typical way to read the content of a file is to use the API function CreateFile to create a handle for the file, and then use API function ReadFile to read the content of the file via that handle. 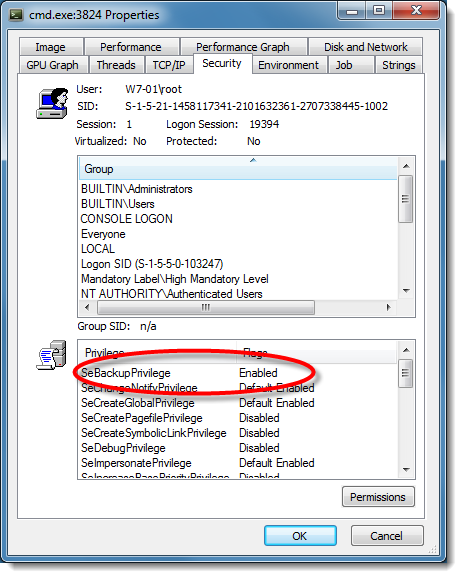 To use your enabled backup privilege, you need to pass a flag to CreateFile that indicates that you want to use your backup privilege: FILE_FLAG_BACKUP_SEMANTICS. 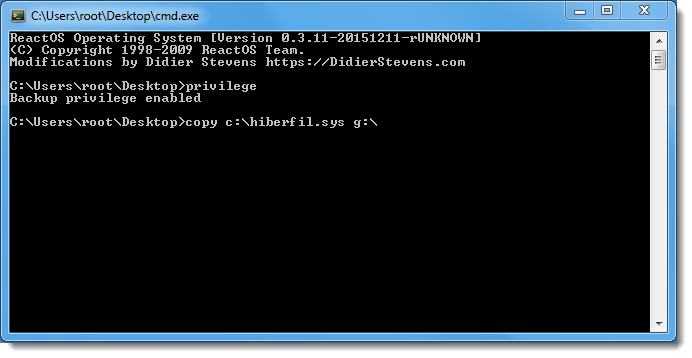 Since this is not easy to script, it would be nice if you could to this with the command line processor cmd.exe. That's why I took ReactOS' implementation of cmd.exe and added a couple of commands and features to enable and use the backup privilege. With my modifications, you can use the "privilege" command to enable the backup privilege, and then "copy" or "type" a file. I also added an "info" command. Remark: "cd" does not use the privilege. IT Security consultant at Contraste Europe. Or: those who don't understand Windows have to reinvent it, poorly. 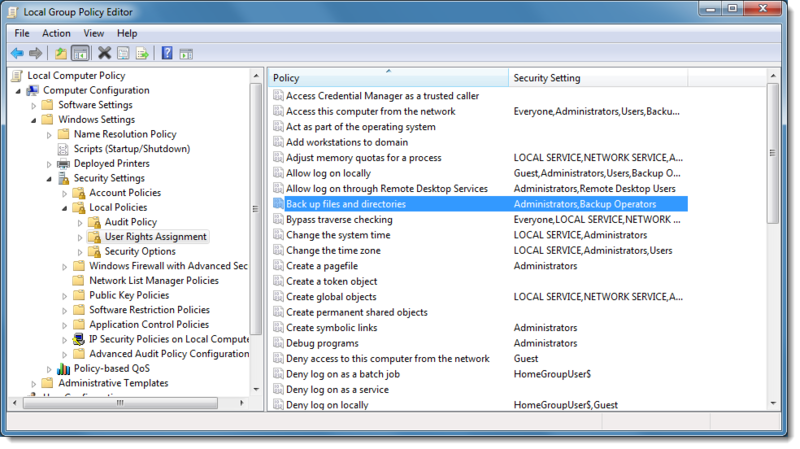 Everybody can use unmodified CMD.EXE or EXPLORER.EXE to access "\System Volume Information" and the files stored there after enabling SeBackupPrivilege for the respective instance of the command processor or Windows Explorer. To do this, write a simple Win32 program which determines its parent process, opens the parent process for PROCESS_QUERY_INFORMATION, then opens the parent process' token for TOKEN_ADJUST_PRIVILEGES and finally calls TokenAdjustPrivilege.